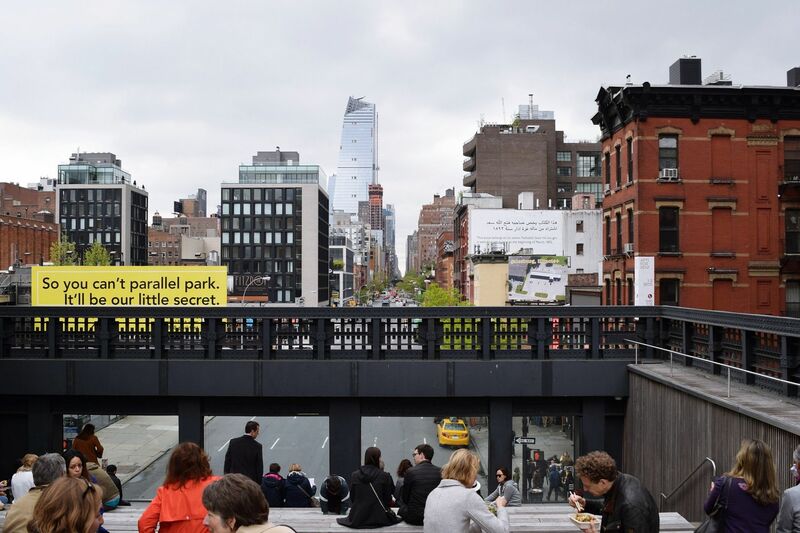 How To Walk The Highline New York & How Long Does it Take? For my New York trip I thought I’d just bring you some of my favourite parts and little guides to them, rather than sharing what I did every day, I mean no one needs to know that I didn’t go to a cool deli and actually ended up in Starbucks one day for lunch, those Hibiscus Refresha drinks though right? So just like the Brooklyn Bridge the Highline was another thing I really wanted to see this time around. It was also something I didn’t know much about, how do you get on it, what is there to do, how long does it take? I thought I’d share what I found out so you can make the best of your own Highline walk. 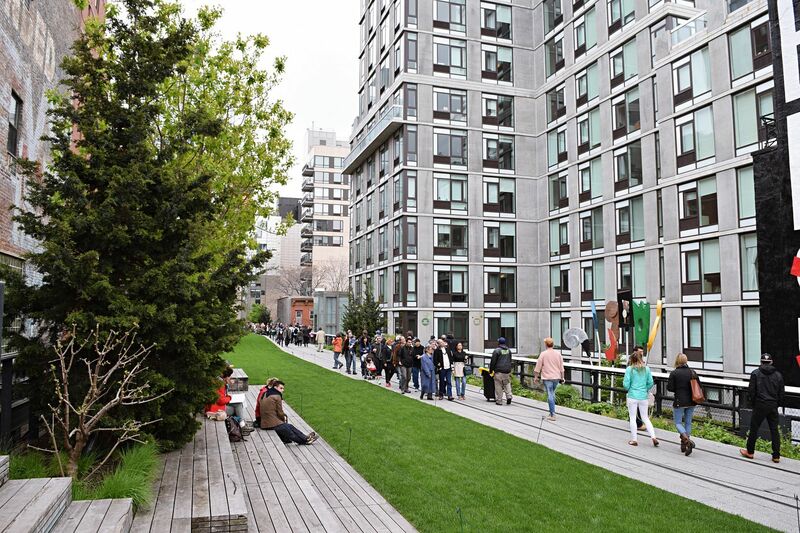 The High Line is a 1.45-mile-long park built on an elevated section of a disused New York Central Railroad spur called the West Side Line. It’s free to visit and it is open daily, times vary on the time of year but it opens at 7am and stays open till 10-11pm at night. 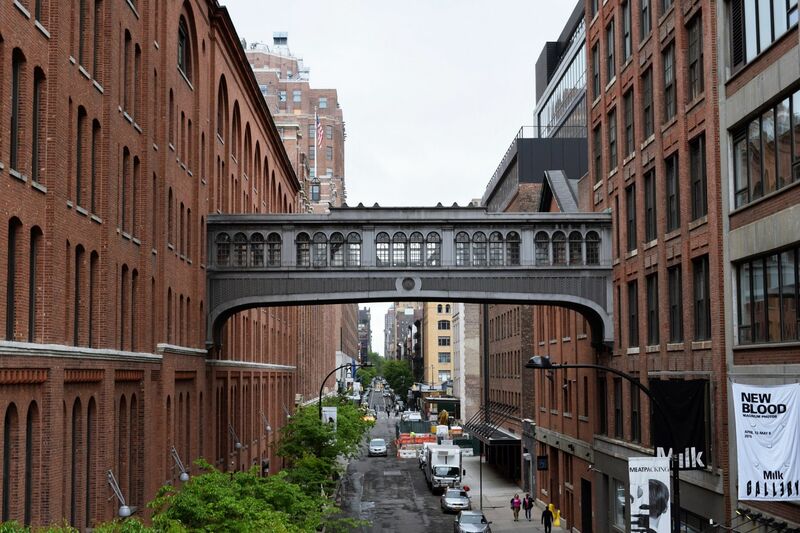 The Highline park runs from West 34th Street and goes all the way down 10th and 12th avenue where you’ll find the Whitney Museum of Art and the Meatpacking District. I find it funny they call it a park, as a park I think of Hyde Park or in New York, Central Park and this is so not like a typical park. However with the art sculptures and landscapes it does have that sort of feel I guess. It definitely is a great place to walk along and you do sort of feel out of the City, which I guess is what a park does. Danny and I had brunch at Upland on Park Avenue which I highly recommend, word has it Obama has eaten here. 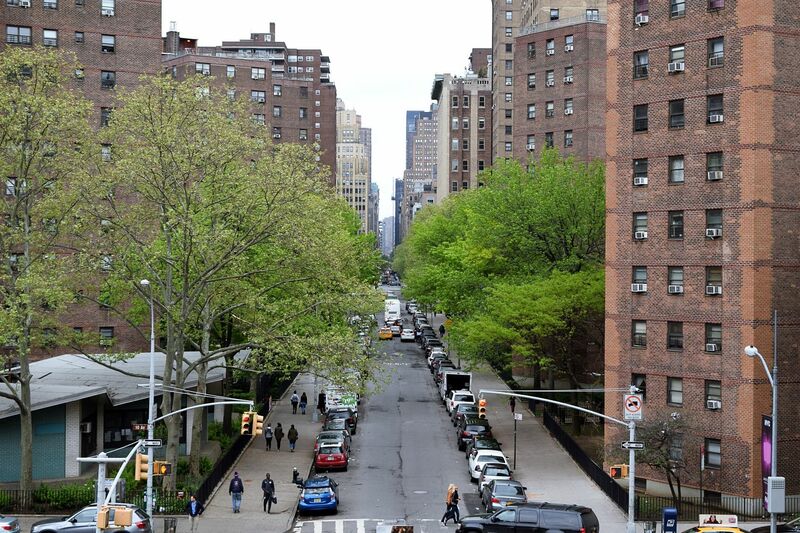 We then walked down 23rd Street and onto the Highline from there. 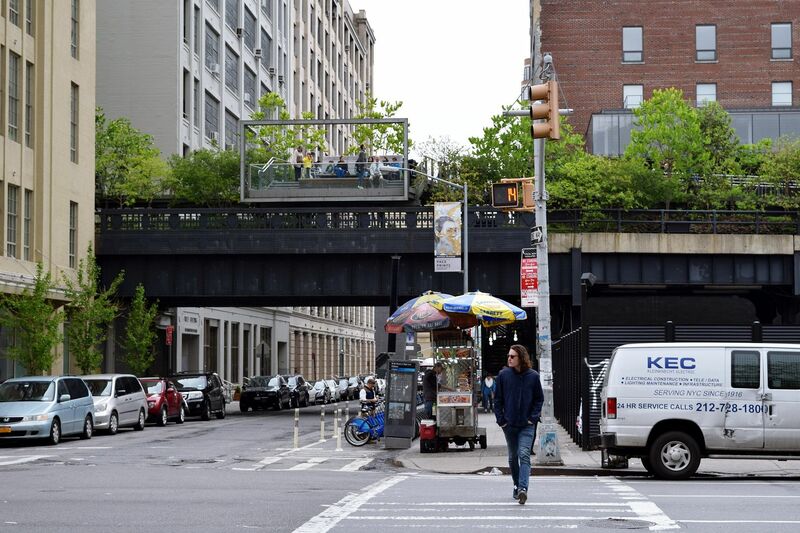 One thing to know is you can get on and off the Highline when you want, so you don’t have to walk all the way. 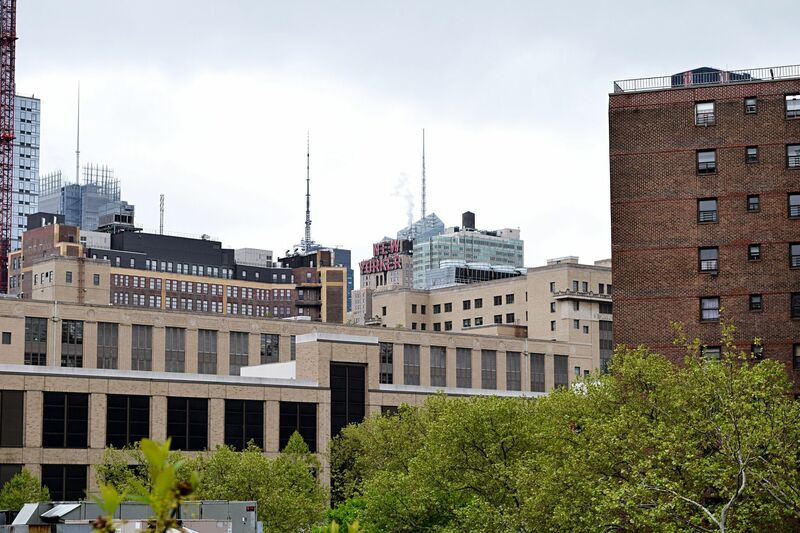 At 23rd Street we joined the Highline, we climbed the steps and happened to stumble upon one of the viewing points. 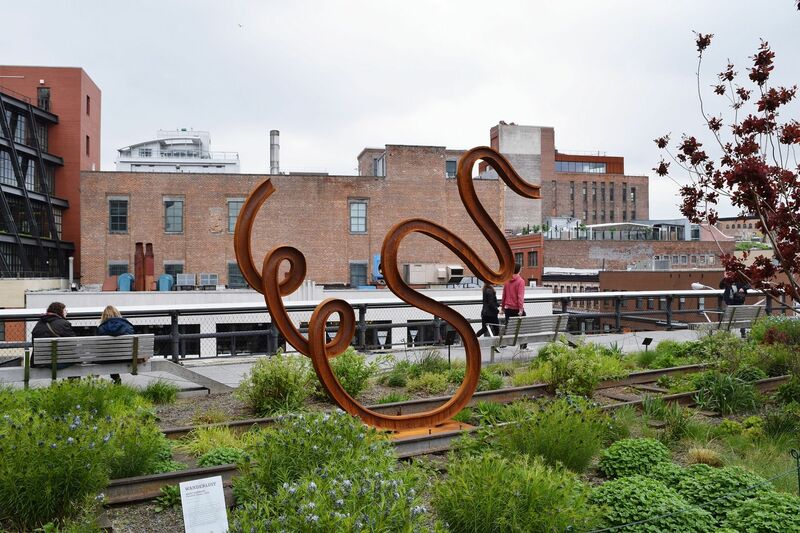 These are dotted all down the Highline and great for a view across Manhattan. 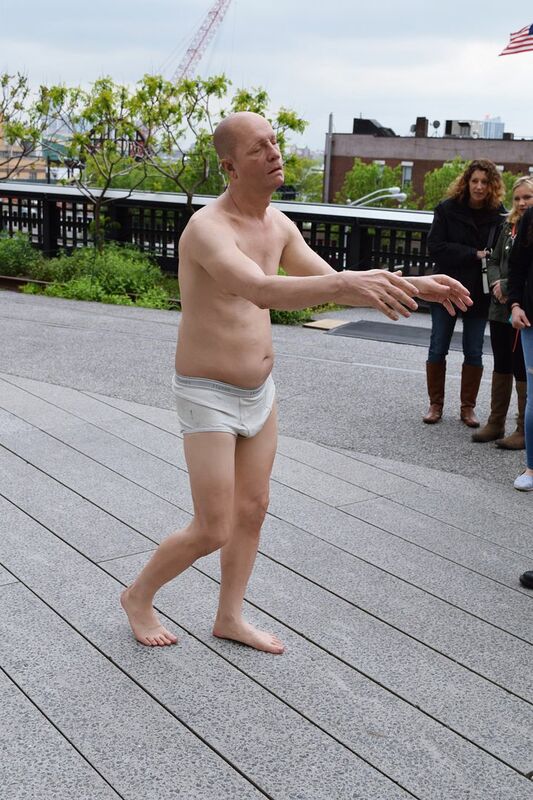 Along the Highline we saw lots of artwork and sculptures and one was so realistic of a naked old man in his pants, everyone was not sure if he was a statue or was real. It’s hard to pick a time as the Highline will always have tourists and locals, but I would recommend grabbing some lunch and taking a seat at the 10th Avenue point. It has an amphitheatre like space and is one to just have a little thinking space and enjoy the moment. If however you are feeling peckish on your walk along there are also places to eat where you can pick up a quick bite. We missed a little bit out but I’d say anything from half an hour to an hour, depends how long you want to sit and just enjoy the views. Afterwards we ended up in the Meatpacking District for some shopping, there are so many lovely boutiques and smaller versions of bigger brands, oh and of course Sephora. Click here for more info on the Highline. Next ArticleWhat’s In My Bag? Ooh thank you for the tip about Upland, I had a peek and it looks lovely. I’ll head over there this summer. It’s so lovely! Get the cookies and milk dessert!! !